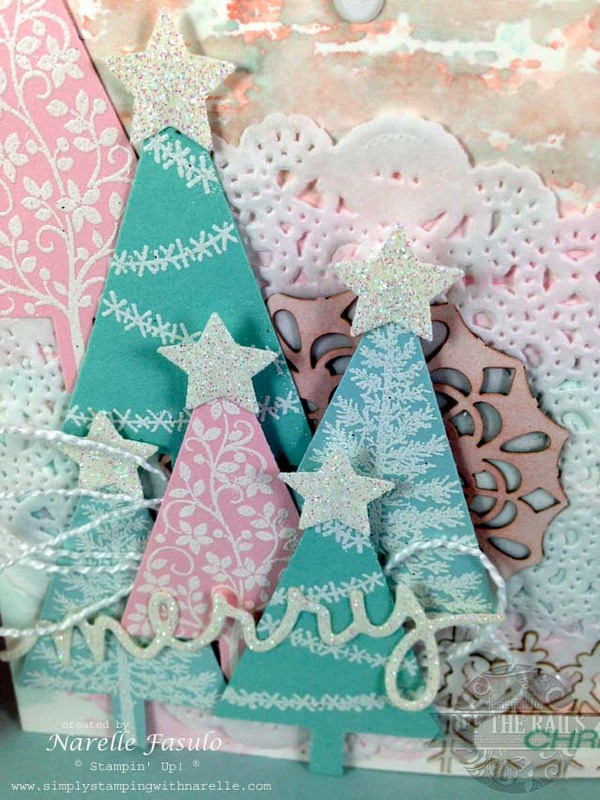 Today I bring you a gorgeous pastel Christmas card. It is something so very different for me. I normally do traditional red, green and gold. 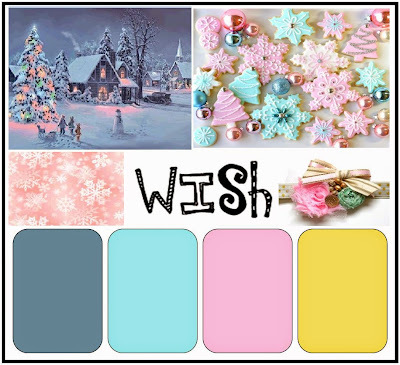 But this month the challenge over at Off The Rails is a pastel colour christmas theme, I had to make something to fit that challenge. I am so glad that I did, because I love the card I made. First here is the mood board for Off The Rails. I would love for you to play along this month as there is an awesome prize from Charms Creations up for grabs. This card was so much fun to make. 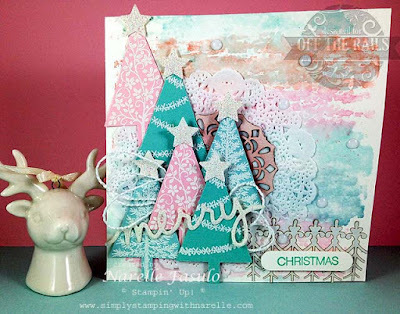 I loved the look of the white embossing on the trees and the pastel watercolour wash of the background. Then I added some Dazzling Diamonds Glimmer paper as stars on the trees and the Merry. This card sparkles so much in real life. I don't think my photo really does it justice. These are some of the items that I used to make to this card. Christmas is over right !